St.Lucia has 2 Nobel Laureates, in Economics and Poetry, both born on January 23. 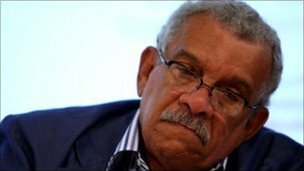 St.Lucian Nobel Laureate for Poetry Derek Walcott has won this year's prestigious TS Eliot Prize for Poetry for his latest collection, White Egrets. Walcott, 81, was up against several other well-known poets including Simon Armitage and Seamus Heaney. Judges' chair Anne Stevenson said the judges had found it difficult to choose a winner. But they concluded White Egrets "was a moving, risk-taking and technically flawless book by a great poet." Walcott wins £15,000, while his fellow nominees pick up cheques for £1,000 each. The writer's previous collections include In A Green Night: Poems 1948 - 1960 and his epic work, Omeros, which draws on Homer's Iliad and Odyssey.